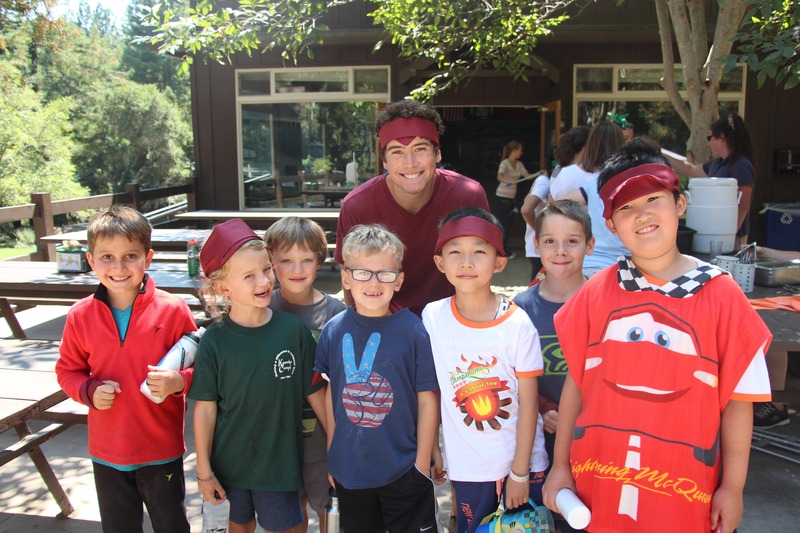 Applications are now open for counselor positions at Kennolyn and other summer camps in the Bay Area, and it’s the perfect time to start thinking about your ideal summer job. If you prefer to spend your summer working temporary office jobs or folding tank tops in an icy mall, those options are always out there. But if you’re interested in finding a summer job that can truly impact your life in a positive way, you may want to consider applying to work as a summer camp counselor. If you’ve attended one of these summer programs as a camper, you’ll already have an idea of what your life as a counselor might look like. And while sleeping under the stars on Outpost and enjoying nightly campfire skits are really fun, there are plenty of other (and more important) benefits that you’ll earn by signing up to lead kids this summer. Below you’ll find a list of five big benefits that involve more than just having fun with campers—although that in itself is a bonus that’s hard to beat! Working at camp gives you a ridiculously fun summer experience. This is perhaps the best and most obvious benefit to working at a summer camp. It’s fun—from sunup to sundown and late into the night. You’ll be spending time leading kids who are having the time of their lives, playing fun games, learning new skills, and trying new activities. Your fellow counselors will become like family, and you might never want to leave the Kennolyn property even after the summer is over. That’s the same reason many of our full-time adult staff members are counselors who just couldn’t bear to leave! Working at the best summer camps is infinitely more fun than standing at a grocery checkout station, pushing a lawn mower, flipping burgers, or nannying for the neighbor’s five kids under five. And it’s certainly more fun than staring at a screen for 10 hours at a time. You’ll be exhausted at the end of every day, but at the end of the summer you won’t want to leave to go back to your “normal” life. 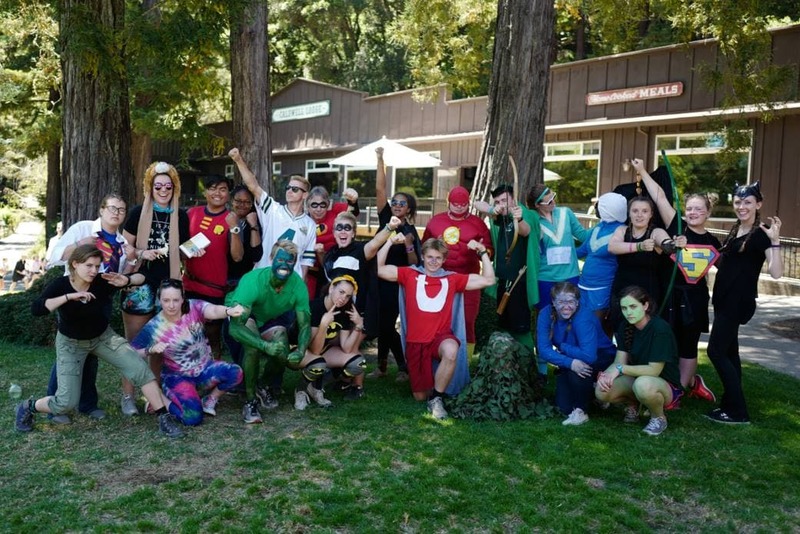 It’s the kind of fun that comes from challenging and fulfilling work—and a bit of camp magic. You’ll make extra money for college/savings (without spending a dime). Many students are politely encouraged (wink) by their parents to take summer jobs so they can bolster a dwindling college account or build up some savings. The problem is that most jobs don’t pay very well, and you’re so tired from working that you can’t help but spend all your hard-earned cash on mall trips, movies, and eating out with your new coworkers. It’s all too easy for us to finish a summer with a lot of hard-worked hours under our belt, but not much income to show for our efforts. When you work at a summer camp, you’ll be working hard all summer, days and nights, doing really fun things—with little opportunity or desire to take yourself to the movies or spend money on shopping, video game rentals, or bubble tea. Room and board is included, as is all the entertainment and social activities you could want. You’ll finish the summer with all of your earnings in hand, ready to deposit them with pride into whatever account you (or your encouraging parents) choose. A few summers at a fantastic local camp near San Francisco can provide an excellent fund for higher education or savings in the future. Rewarding interactions with campers and staff will inspire you. As most campers learn quickly, summer camp friends are best friends for life. Our alumni celebrations at Kennolyn’s Stone Creek Village are the perfect real-life example of the lasting nature of summer friendships. Counselors and summer staff form an even stronger bond over the course of one summer or a handful of years, and spending all summer with each other means that your fellow leaders quickly start to feel a lot more like family than just co-workers. Staff socials, weekends off, and visits out to the local Santa Cruz area throughout the summer are hardly necessary for fast friendships to form, but they do make fantastic memories that will last a lifetime. Working at a fantastic summer camp is also an opportunity to learn from and get to know a wide variety of people from different walks of life. At Kennolyn, we hire our counselors from around the world—so you might get the chance to learn some words in a new language, hear really interesting and diverse life stories, and gain friends across the globe. The mentorship you’ll receive from upper-level staff in a camp setting will also provide its own kind of lasting impact on your life. Who knows? You might gain a new role model, godparent, or advocate—or a really great professional reference. Camp counselor experience looks really great on your future resume. Young adults are deeply concerned about their resumes, and for good reason. Graduating from school and moving directly into the workforce can be really difficult without job experience. Nobody seems to care that you need job experience in order to get job experience. Summer camp positions are designed for young adults in this transition time, who are eager to prove their worth, develop marketable skills, and work hard at something that matters. Many summer camp programs will also provide extensive training for summer staff. You’ll gain valuable skills that prepare you for work in a wide variety of fields. Programs that offer a lot of variety for campers also add value to your experience, because you’ll have the opportunity to shape your summer experience based on any future goals you may have in place. The end of the summer will see you with renewed confidence, improved leadership skills, and a powerful new sense of who you are as an employee and as a person. The personal growth you’ll experience can help you discover how you want to spend your professional and adult life. 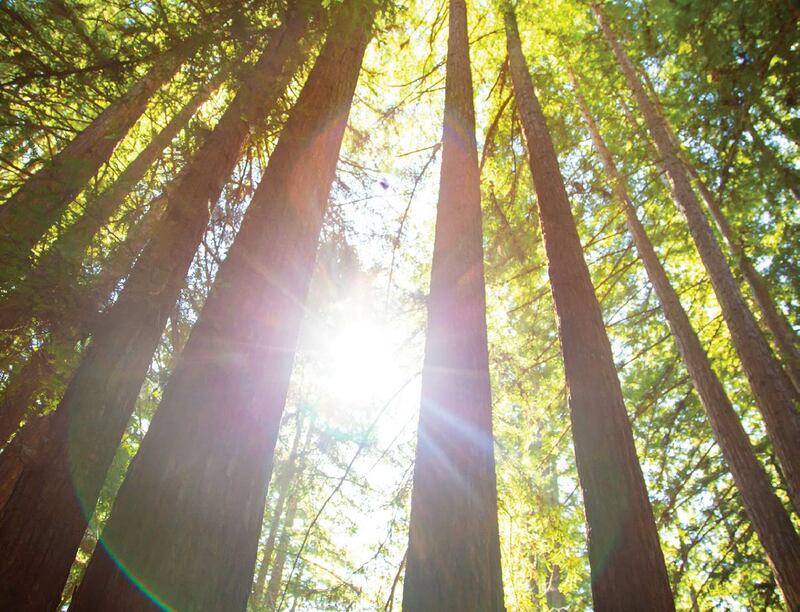 Finally, a summer at a local Bay Area camp will give you a lot of opportunity to grow, think, and improve your life as a whole. You’ll meet physical, mental, and emotional challenges throughout your time as a counselor, and you’ll stretch in completely new ways. Personal growth happens in these moments when you find yourself outside your comfort zone. Throughout the summer, just by doing the meaningful daily work of leading children, you will have the opportunity to examine how you see the world, how you problem solve, and where your greatest personal strengths are. When you’re a young adult, these moments of self-discovery become all the more precious. Many of us, during these years, had no idea what we wanted to do with the rest of our summer, much less than the rest of our lives—and yet that’s often all anyone wants to ask about. Experience that aids in character building, decision making, and personal improvement can help give you a little idea, however small, of what you might and might not enjoy doing for the rest of your life. That is a valuable opportunity for every young adult to grasp. Every fall, summer staff applications open at camps around the state of California and the country. If you’re curious about what is required to earn one of these amazing summer jobs, you’ll want to check out the resources on Kennolyn’s staff application page. We encourage you to apply if you’re over the age of 18, enjoy working with children, and have the character, skills, and experience that this kind of job demands. Reach out to the Kennolyn office if you have any questions about the application and interview process. We look forward to meeting you.